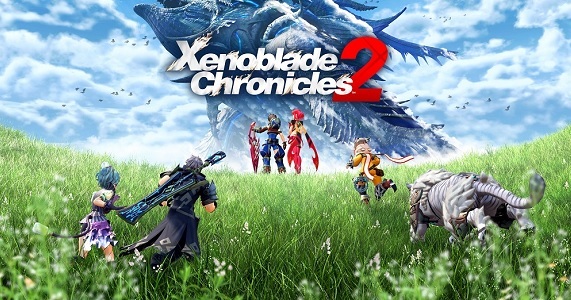 In this post, you will find everything there is to know about the Software updates for Xenoblade Chronicles 2 (originally released on December 1st 2017 in Europe, North America, and Japan). 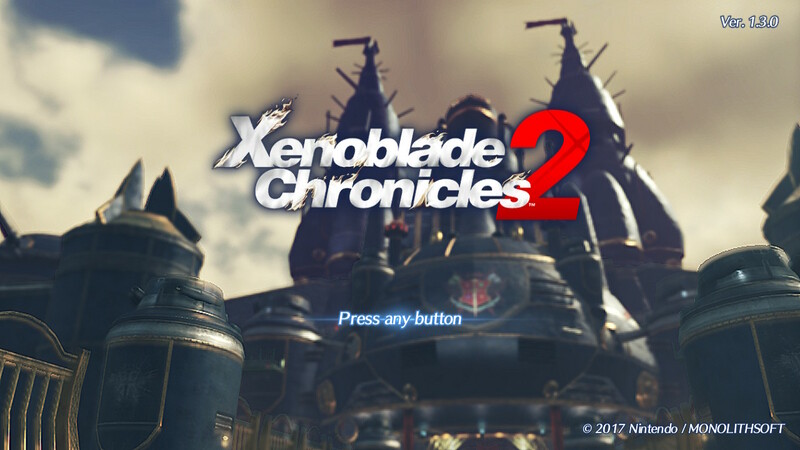 Looking for update for Xenoblade Chronicles 2: Torna ~ The Golden Country? Check out this page instead! NB: even though it’s included in the main game for Expansion Pass owners, it has a separate menu and a separate version number. All changes/fixes related to that expansion will be added to that page. 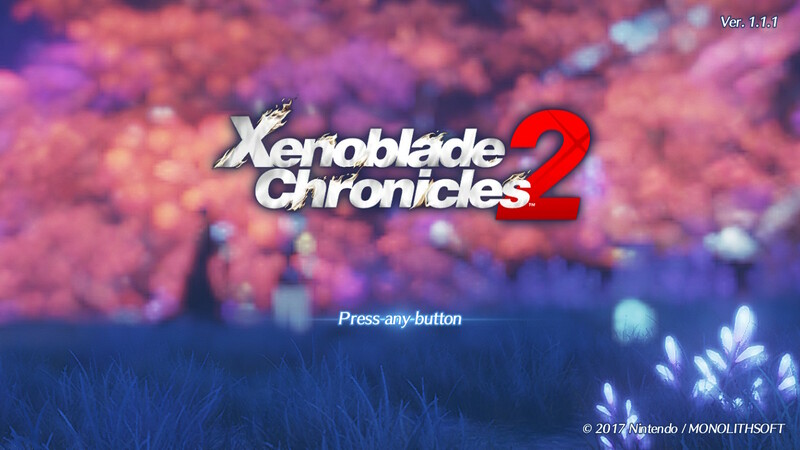 How to download updates for Xenoblade Chronicles 2 for the Nintendo Switch? To check that you have the latest version installed, simply select the game on the Home Menu, and press + or – to go to the Options screen. The version number is displayed just below the game title. A Nopon named Brobro has been added to the Argentum Trade Guild, near the Salvage Deck. Speak to him to receive the “Massive Melee Mythra,” an Aux Core that slightly alters the look of Mythra’s outfit. The Aux Core will be automatically sold if you speak to Brobro with a full inventory. If sold in this way, the Aux Core can be acquired by speaking to Brobro again. This update adds a new outfit for Mythra: Massive Melee Mythra (inspired by Super Smash Bros. Ultimate). Check out this post to find out where to get it! Fixed an issue with the rare blade Dagas, causing the driver he is bonded with to change mistakenly. Downloading the update will not reset to the original bonded driver.We apologize for the inconvenience, but please use features such as Overdrive to change bonded drivers. Fixed an issue causing Rex’s outfit to not appear correctly during the ending scenes of the game. There’s also various fixes related to Torna ~ The Golden Country, make sure to check out this page for the patch notes (which are the same for Expansion Pass / stand-alone version). The fixes listed above are only for the main game. Additional notes: this update is only for the regular version of the game, not the stand-alone release of the story DLC. Check out this post for more details about the DLC, this one for Tetsuya Takahashi’s Production Notes blog post, this one for another Production Notes blog post, and this one for gameplay details! More details from the official website can be found here and here! While Overdrive is active, a counter is applied to all attack arts and specials that hit. As the counter goes up, the effect of the following three bonuses increases: damage boost, an Arts recharge boost from auto-attacks, and a decrease in enemy resistance to reactions and combos. Additional notes: looking to unlock Elma for the main game? Click here! Looking to access the content from the DLC pack? Check out this post! Fixed an issue with the Expansion Pass Challenge Battle, “Humanoid Alliance” preventing play from proceeding from one wave to the next. The Skill RAM “Shackle Blade Resist” I – V have been added as parts you can create via Poppiswap. The ability to acquire the Rare Blade, Crossette is now available via the Expansion Pass. The fourth and final round of DLC quests is now available via the Expansion Pass. The difficulty levels “Bringer of Chaos” and “Custom” have been added to the game options as a means of supporting your adventures in the Expansion Pass content. With the difficulty level set to “Custom,” a maximum of 10 parameters related to battle such as enemy attack power and max HP and Party Gauge Gains can be adjusted as you see fit. Selecting the default settings when using “Custom” difficulty will be equivalent to playing at the Normal difficulty level. The difficulty levels “Bringer of Chaos” and “Custom” have been added to the Challenge Battle: Nopondemonium in the Expansion Pass. This functionality is added automatically by updating the Expansion Pass and is set to “Enabled” by default. Nopon crystals can now be exchanged for additional items in the Challenge Battle: Nopondemonium, available via the Expansion Pass. In addition to items that will slightly alter a character’s outfit, there are now also items that will improve Tora’s “Idea” level. Select “Gift from Zuo 2” then “Nopon Invitation” after choosing Expansion Pass on the Main Menu to make these additional items available. 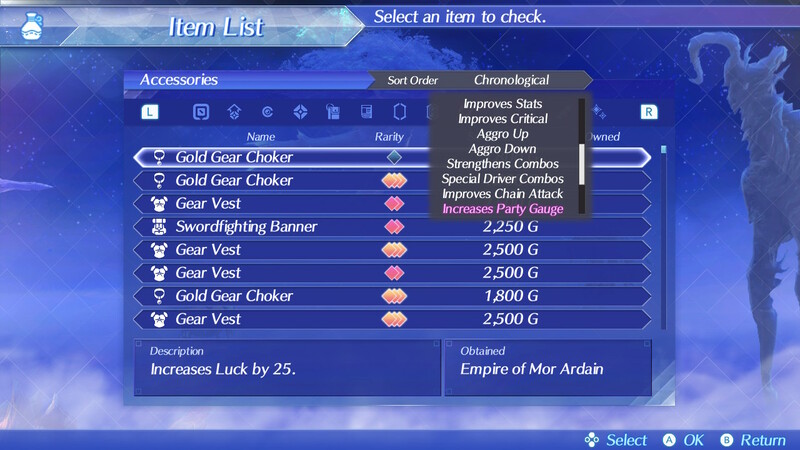 Check marks have been added next to any items you already possess when viewing the item list while exchanging Nopon crystals for items in Challenge Battle: Nopondemonium. The difficulty of the Expansion Pass Challenge Battle, “Attack of the Aspar” has been adjusted. Yackle Aspars, who appear when playing on Easy will get a smaller amount of HP when leveling up. Additional notes: More details coming soon. Check out this post if you want to know how to access this additional content (including Crossette, the new Rare Blade)! The fix associated with acquiring Perun’s Key Affinity Gift intended to fix the counter for “small good deeds” applied in Ver. 1.3.0 did not completely solve the issue, so an additional fix has been made. New Unique Monster Subjugation Reports have been added. Defeating a unique monster will record the time it was defeated. Subjugation reports for defeated unique monsters can be found by examining their graves, or by selecting them from a list provided by the battle auditor in Garfont village. An icon will now indicate when a monster has become enraged during battle. Added functionality for accessing the Challenge Battle “Nopon Summons” in the Expansion Pass. Challenge Battles allow players to cross paths with Shulk and Fiora from Xenoblade Chronicles. They feature a high level of difficulty but offer rewards such as new accessories, Aux Cores, and Noponstones. Completing these difficult challenges will grant the player key items allowing Shulk and Fiora to join their adventures in Alrest. Make sure your drivers and blades are ready before taking them on. Added functionality for receiving “Adventure Support” features newly added to the Expansion Pass. Once received, the following features will be added to the game settings portion of the options menu. Enabling this feature will cause the character under player control to use arts and blade switch automatically after engaging in battle. Enabling this feature will allow button challenges for Special moves to be skipped by causing them to succeed automatically with a “Good” rating. Adds the content of the Challenge Battle Pack (click here for more details). Allows you to meet Shulk and Fiora from Xenoblade Chronicles. Battles are pretty challenging, but offer sweet rewards such as new accessories, AUX cores, Nopon Stones, and more. You can trade the Nopon stones for new costumes for the characters, but also rare parts for Poppi (NB: the costumes do not appear in certain key scenes). You can also get special items that allow you to bring Shulk and Fiora in the main game! adds Extra Game Options for owners of the Expansion Pass. 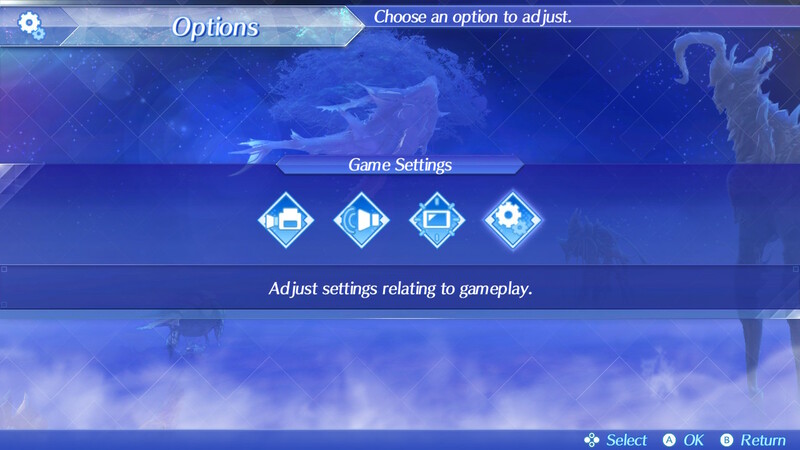 Adds three additional options in System > Options > Game Settings. Enemy Aggression: when disabled, enemies will not attack you anymore (unless you attack them, of course). Does not work with Unique Monsters, Bosses, Quest monsters, and salvaging monsters. Additional notes: More details about the Expansion Pass can be found on this page! Looking to unlock Shulk and Fiora for the main game? Click here! Additional notes: More details about the Expansion Pass can be found on this page! Fixed an issue causing the rare blade Dagas to disappear if bonded with a driver other than Rex, but engaged with Rex when starting a New Game Plus. If Dagas has disappeared, downloading the latest update will cause him to be restored. Fixed an issue causing Adenine’s blade quest, “Limits of Awareness” to advance automatically after continuing when the Ver. 1.3.1 update had been applied. Fixed an issue causing the Recover Recharge effect from Mythra’s skill, Lightspeed Flurry, not to occur when used as a Special. Added the sorting categories “Driver,” “Trust,” and “Field Skill” to the Blade List. Added the sorting category “Type” to the list of Accessories. 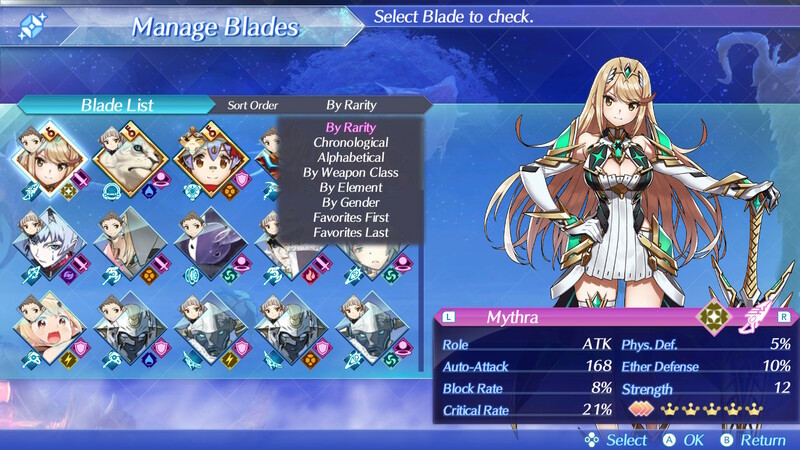 After having cleared the game’s main story, once a star appears next to your current money in the menu the rare blade, T-elos can be bonded from core crystals at random. Numerous traveling bards have been added that will exchange bonus EXP for Poppi’s rare parts when playing New Game Plus. Added functionality to receive the first additional rare blade from the Expansion Pass, Poppibuster. Poppibuster is a special blade, and the quest rare blade quest “Shiny New Power” must be completed to a certain point before Poppibuster can be engaged. Additional notes: more details about the update, and more specificically the two new Rare Blades, can be found in this post. More details about the Expansion Pass can be found on this page! Fixed an issue where common blades resonated to drivers other than Rex were being deleted if the player started a New Game Plus with them assigned to Rex. We apologize, but even if you update your data, you will be unable to restore your common blades. 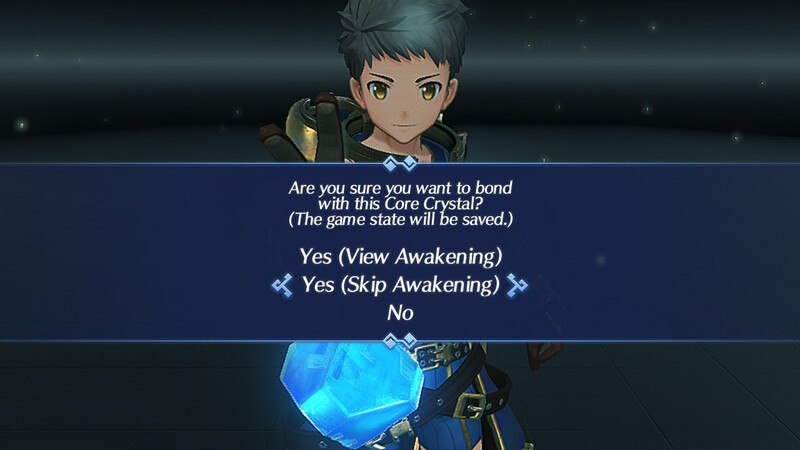 Fixed an issue during New Game Plus where the player was unable to acquire a common blade’s affinity gift even after fulfilling the conditions. Fixed an issue where rare blades that were released were unable to rise above trust level S if they resonated with a character again. Downloading the update data will set the trust level at S.
In the case that the actual trust level is higher than S, then upon doing something to raise the trust level, it will quickly increase to its actual level. We have addressed the following problems where effects intended to be applied to blades on standby were only effective when they were deployed in battle. Poppy’s Skill RAM: Some status up types such as “HP MAX Boost”, “Gold Rush”, “Treasure Sensor”, “Hunter’s Chemistry”, and “Shoulder to Shoulder”. Common Blade Skills: “Accelerated Growth”, ”Weaponsmaster”, ”Gold Rush”, and “Treasure Sensor”. Fixed an issue where Patroka’s Evasion Effect Art wasn’t triggering correctly. Fixed an issue where the player couldn’t advance in the Gormott quest “Whereabouts Unknown”. Fixed an issue where the player couldn’t advance in the Uraya quest “Marvelous Mercenaries”. Fixed an issue where the player couldn’t advance in the Mor Ardain quest “We Meet Again”. Fixed an issue where the minimap and compass wouldn’t display, and fast travel with the X-button would become unavailable. Fixed an issue where Mythra’s 10% Ether modifier wasn’t being reflected in Rex’s Ether attribute display. This problem concerned the display of the modifier; it was being applied. Addressed a problem with crafting field skills such as “Pyra’s Cooking” where you couldn’t continually make things. Fixed an issue where titles of locations were not displaying when discovering landmarks, locations, and secret areas/viewpoints. Fixed an issue where blades would cycle backwards for Rex when using blade change if Mythra was engaged. An NPC, “Momoni,” has been added to chapter one of New Game Plus, to restore your money one time. He will help you when you are unable to buy an Abyss Vest or unable to send funds due to lack of money on-hand. Adjusted the difficulty of some of the boss battles in Chapter Ten of New Game Plus (so that they reflect Rex’s level). 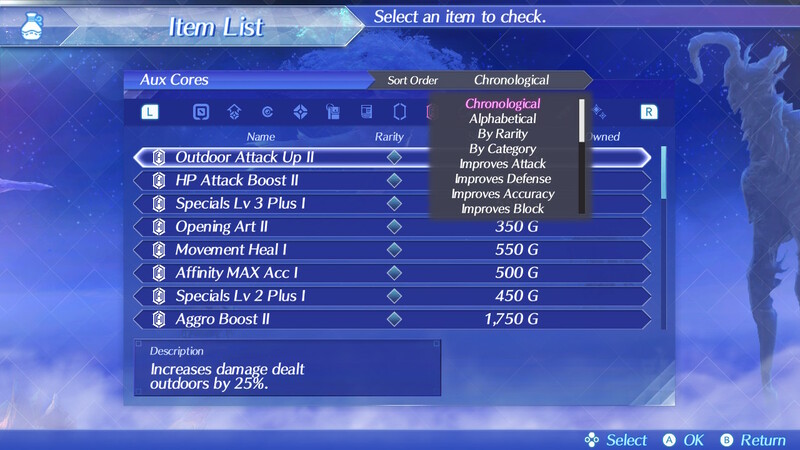 Now displays the currently held and maximum number of accessories, Aux Cores、and Poppy parts in menus and shops. Added a function to download the second Expansion Pass quest. Added a notification page to the menu that contains information about the Expansion Pass. If the Expansion Pass is removed or deleted from your console, “Continue” can no longer be selected to resume Expansion Pass save data. You will be able to select Continue again once you download the Expansion Pass. Make sure to check out this post for more details! Additional notes: this update was announced on March 16th, and is now available. Fixed an issue occurring in chapter 7 and onward, in which specific conditions caused bonded blades and drivers to not appear in the Manage Blades menu. Fixed an issue associated with acquiring Perun’s Key Affinity Gift in which the counter for “small good deeds” required to earn it would stop, making the item unobtainable. Fixed an issue associated with acquiring Perceval’s Affinity Gift, “Brandish,” in which certain monsters failed to count toward the requirements “Defeat Igna enemies in Uraya. (Excludes unique monsters. )” and “Defeat Tirkin enemies in Tantal. (Excludes unique monsters.)”. Fixed an issue associated with acquiring Perceval’s Affinity Gift, “Brandish,” in which defeating high-level Tirkin enemies (around level 80) failed to count toward the “Defeat Tirkin enemies in Tantal. (Excludes unique monsters.)”. Fixed an issue in which Blades with the condition“Deal a certain amount of damage in one hit” to acquire Affinity Gifts would not meet the condition if they were not present at the start of a battle, and were brought in via Blade Switching instead. Fixed an issue in which Rare Blades, once released, could not achieve a level of Trust higher than S1, even if bonded with a different Driver. After applying this update, performing an action to raise Trust (clearing quests, using pouch items, etc.) will raise the rare blade’s Trust to the correct rank. Fixed an issue with Poppiswap in which if the player possessed a combined total of 1023 or more Skill RAM and Skill Upgrade parts, and equipped the 1024th part, they would be unable to set or crystalize any additional parts, even if they had enough energy to do so. Fixed an issue in which the descriptions for the Silver Feather and Phantom Feather accessories was switched. 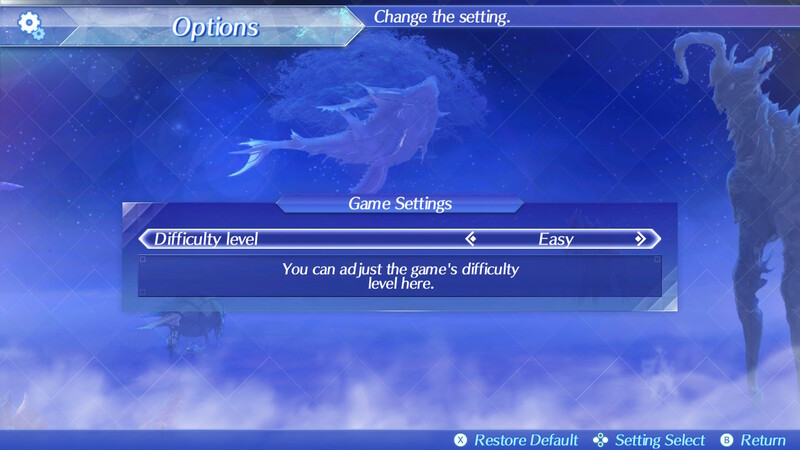 Players with save data from the final chapter and who have cleared the game will now be able to select “Advanced New Game” on the title screen and carry over some of their data from the previous playthrough. 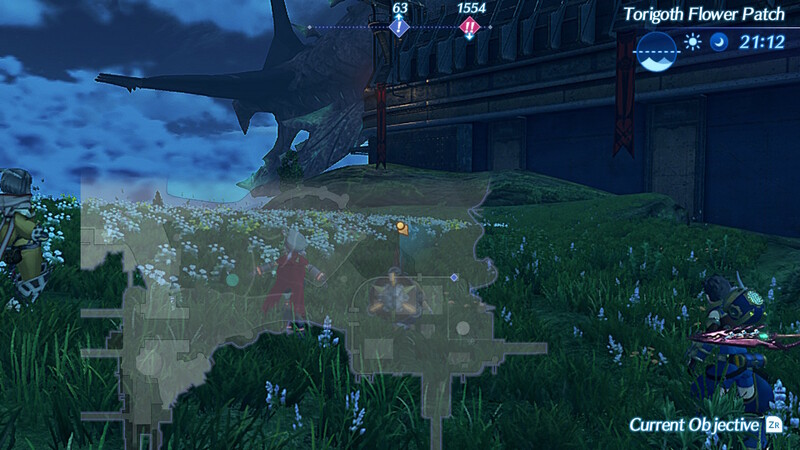 Bonding with certain Blades from Torna will allow them to join your party. Meeting certain Blades from Torna in the game world will allow them to join your party. All Blades can be dispatched on Merc Missions. Driver Hidden Affinities have been unlocked. New skills can also be learned. Levels can now be decreased at inns, with a corresponding amount of bonus EXP being granted for the number of levels decreased. Traveling Bards that will exchange Bonus EXP and special items have been added to various locations throughout Alrest. Traveling Bards are displayed on the mini map as green shop icons. Among the newly exchangeable items, there are those that will increase the number of accessories a Driver can have equipped. Level 4 Specials have been unlocked for certain Blades. Quests, Heart-to-Hearts, and Skip Travel points will all be reset. Cleared Merc Missions will be reset. Saving after beginning an Advanced New Game playthrough will overwrite the save data in which you initially cleared the game. Added a “simple mode” option allowing players to skip the lottery animation when bonding with Blades. Added the ability to “lock” Blades so that they can’t be mistakenly released. Added a “Sort” option to the Blade List, Accessories, Aux Cores, and Poppy’s Skill Parts. Map icons will now appear on the mini map. Adjusted AI to perform Blade Switches with no regard for Driver combos when using Drivers that prioritize Driver combos while fighting enemies against whom those combos aren’t effective. Added the ability to receive the 4th round of items distributed via the Expansion Pass. adds new sorting options to the following lists: Accessories, Aux Cores, Blades. adds new set of items for Expansion Pass owners. Additional notes: you can find tons of details about this update and the New Game+ mode in this post! The update was originally supposed to be released on February 15th/16th 2018, but it’s been delayed to March 1st/2nd 2018 due a glitch found during testing. Fixed an issue in which parts set to a specific Skill RAM failed to provide their intended effects. Adjusted the Gormott regular quest “The Riddle on the Wall” to make it completable regardless of player progression in the main story. Adjusted Finch’s Blade Quest “Birds of a Feather” to make it completable regardless of player progression in the main story. Fixed an issue in Agate’s Blade Quest “Precious Yearnings” preventing quest progression. Added functionality to allow players to receive the first round of quests and the second round of items associated with the Expansion Pass. Voiced segments in menus can now be skipped with the A or B button. Additional notes: the mini-map improvements and second playthrough elements, that we erroneously listed as part of this update, are not included after all (sorry about that!). It’s not clear when they will be available. Fixed an issue occurring in the Gormott regular quest “One Step Ahead,” where acquiring the Healing Herb quest item at 12:00 caused the item to fail to be counted in the quest log, preventing completion of the quest. Fixed an issue occurring in the Gormott regular quest “A Young Man’s Prize,” where acquiring the Snow-White Rhino quest item at 7:00 caused the item to fail to be counted in the quest log, preventing completion of the quest. Fixed an issue occurring in the Gormott regular quest “The Riddle on the Wall,” preventing quest progression. Fixed an issue occurring in Perceval’s blade quest “Failure and Success,” preventing quest progression. Fixed an issue occurring in Gorg’s blade quest “Follow Your Passion,” preventing quest progression. Fixed an issue occurring after viewing the “Something in Common” movie in the “Chapter One: Encounters” section of the Events Theater causing the camera to continue shaking after returning to the game. Made adjustments to improve the stability of performing certain actions. 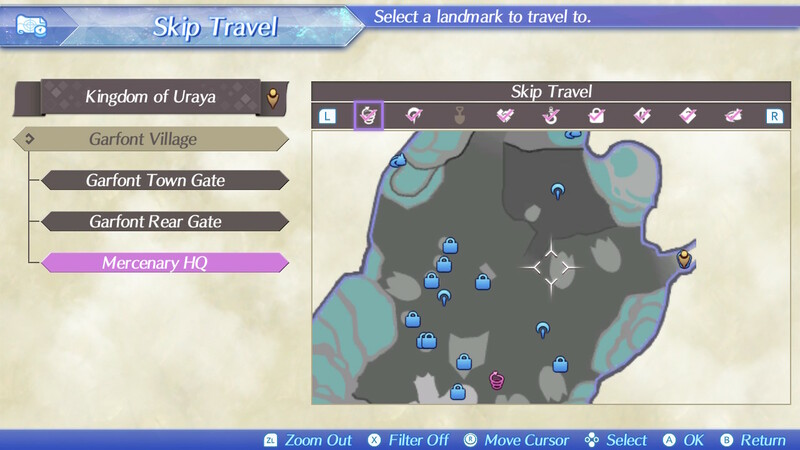 Due to these adjustments, time required for Skip Travel and loading event cut scenes has become longer in some instances and shorter in others. A Pro Controller can now be used when the Joy-Con Controllers are attached to the system in Tabletop Mode. 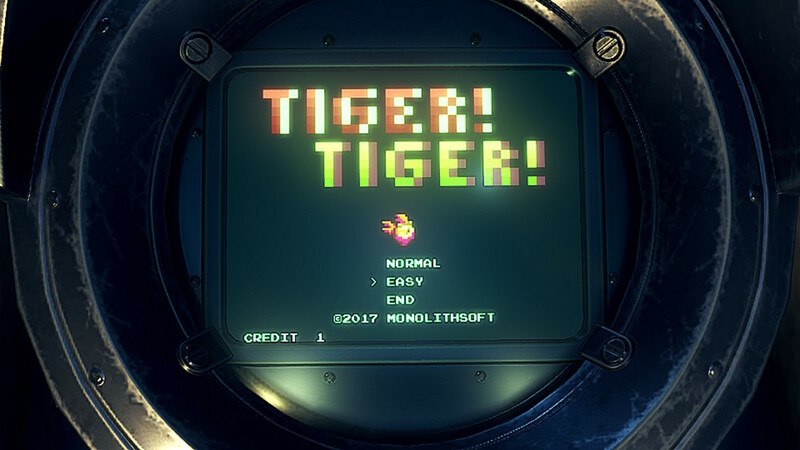 Added an Easy difficulty to the Tiger! Tiger! mini game. Added a new size of map to the mini map. Pressing X when in the field to open the Skip Travel screen, the map of your current location will open. Added functionality to allow players to receive the second round of items associated with the Expansion Pass. Added the “Events Theater” feature. Allows you to view event cut scenes you’ve previously viewed whenever you like. Requires save data played up to the event cut scene in question. Added the ability to turn Japanese character voices on or off to the Sound Options. 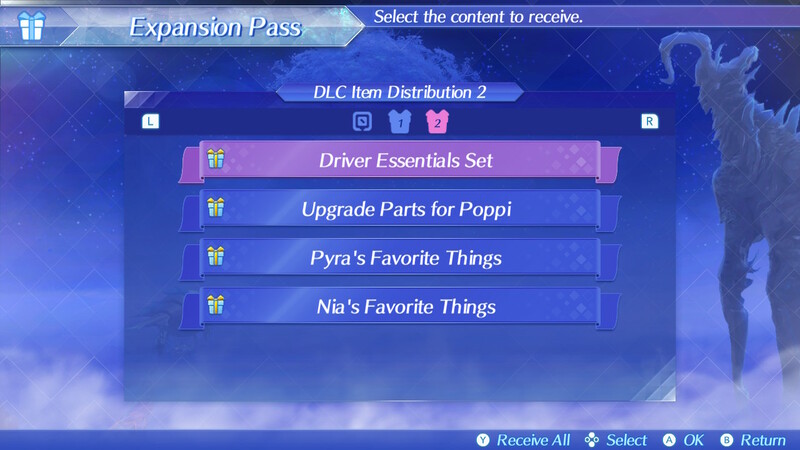 Added the ability to receive items distributed via the Expansion Pass. Downloading the Expansion Pass will add “Expansion Pass” to the main menu, allowing you to receive associated items. 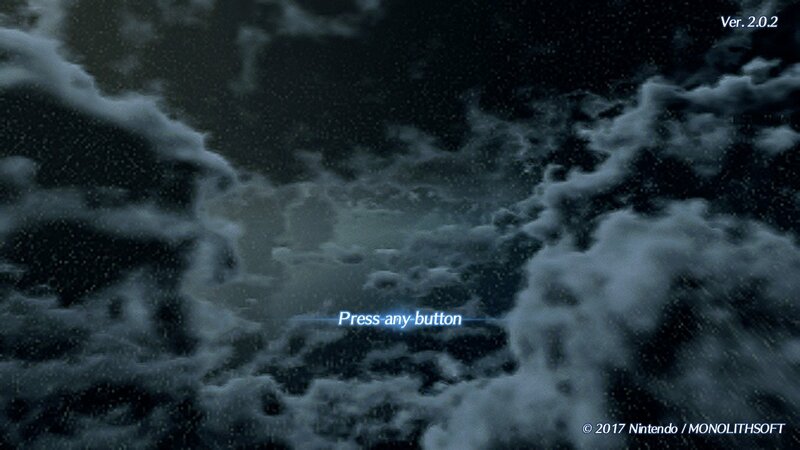 The main menu can be accessed during play by pressing the + button. Adjustments have been made to better balance aspects of the game. It’s found in-game, in the menu. You need to load your save, then press start to bring the menu, and it’s the last icon in the row.